Between gifts and kisses, Prince Harry received quite a bit of affection from well-wishers in Sydney, Australia, on Thursday. 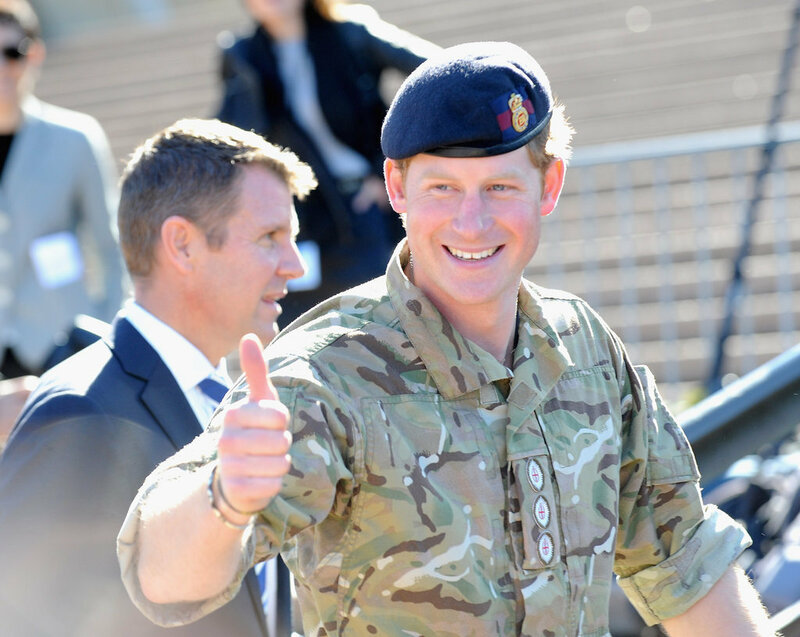 He made an appearance at the Opera House during the first of two farewell engagements in Australia, where he's been with the military for a month. Along with getting an unexpected smooch from a blonde admirer, Prince Harry also told the media that he had a growing collection of toys for his new baby niece, Princess Charlotte. "I have been given a hell of a lot of cuddly toys from this morning and other things," he said. This isn't the first time he's talked about the little one: soon after Prince William and Kate Middleton welcomed their newborn and introduced her to the world, Prince Harry gushed about her in a statement, saying, "She is absolutely beautiful. I can't wait to meet her." Keep reading for more photos from Prince Harry's Australian outing, then see royal milestones we can expect from Princess Charlotte's first year!